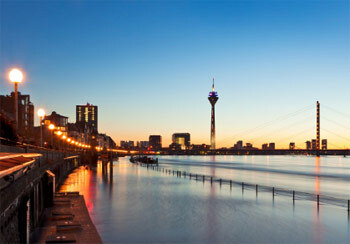 Luxury properties in the city on the Rhine. Luxury living in prime locations. We offer exclusive townhouses, mansions and luxury domiciles which meet and exceed the expectations of the most demanding tenants through classy architecture and sophisticated interior design in prime locations. Our portfolio includes luxury properties in Düsseldorf-Kaiserswerth and the Zoo area, in attractive locations overlooking the River Rhine, in the “White Colony” and in Cecilienallee off the Rheinpark. It is in these sought-after locations that we continue to create luxury properties for rent. We believe in adding long-term value. Being a family-run firm, Pomona Prime Property seeks to build lasting and trustful relationships with our tenants. As we move forward, we will continue to make sustainable investments in the expansion of our portfolio of prestigious mansions and luxury properties. Resulting in high levels of quality, this strategy primarily benefits our tenants and provides a solid basis for mutually beneficial tenancy arrangements.